Last year, we teased our readers with a story about Sandobe, a Korean and Japanese fusion restaurant that was slated to open at 918 Broadway Avenue on the border of Bushwick and Bed-Stuy. Today, we're delighted to inform your that Sandobe is now open for business, having officially debuted its offerings this past Friday, January 6! In case you need reminder which spot we're talking about: Sandobe is equipped with three private karaoke rooms, all of which feature Korea’s quintessential karaoke system Kumyoung. The space, considerably larger than most Bushwick restaurants, can hold up to 75 people, perfect for a night out with a big crew. 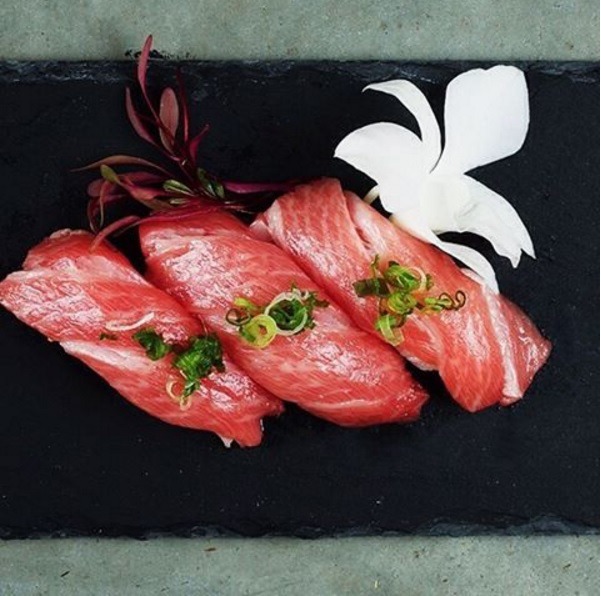 The menu stars poké, which can be eaten traditionally as a raw fish salad or rolled up into a burrito, as well as sushi (their signature sushi rolls are named after celebrities, and yes, one of rolls pays homage to Beyoncé). Stay tuned for review of the Sandobe dining experience—and congratulations to the Sandobe team! Featured image: courtesy of Sandobe.